Program Focus Coaching (PFC) - Early Childhood Associates, Inc.
No matter how good a coach may be, if the program leader is not involved in the change process, the success rate, over time, of the coaching will suffer. Program Focus Coaching shares the same goal with other forms of coaching: improved understanding and outcomes. However, unlike individual coaching, this service looks at the whole- to pair policy change with practice change. 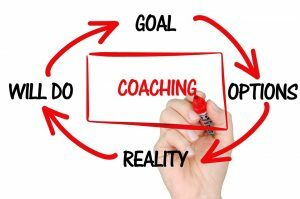 Like other forms of coaching, Program Focused Coaching requires developing a relationship; setting goals; developing action plans; engaging in coaching interventions including reflective practice; using data for continuous improvement; and understanding the system and sectors in which coaching occurs. It differs in the target. A major premise of the PFC model is that to make quality improvements, coaching needs to target not only staff competence in implementing high quality evidence-based practices but leadership capacity to support staff in high quality instruction, and the program’s organizational structure including the policies and practices that drive the program’s operation. These are important drivers of change-staff, leaders, and policies and practices. ECA coaches work with program leaders to analyze the program’s practices to determine how they influence high quality practices. Coaches also work with leaders in their own support of teachers’ development in their key role of implementing curriculum and evidence based instructional practices; in creating high quality instructional environments; and establishing organizational norms of continuous quality improvement. The goal of this analysis is to pair policy change with practice change. The Program Focus Coaching model ECA utilizes was designed with the Massachusetts Department of Early Education and Care. In this work ECA has developed PFC position papers, guidance documents, conducted PLC with the state’s early childhood regional Educator Provider System and recently conducted a PFC implementation study. PFC is an intentional way to work in partnership with your program to review program policies, procedures, and practices to work towards all aspects of quality. For more information on how ECA can support your program, Connect with Us today! Develop and implement a statewide multi-session professional learning community (PLC) for designated coaches in conjunction with nine webinars for coaches and leadership that target program focus coaching. Conduct an evaluation of the program focus coaching model. Develop a coaching manual and orientation that reflects the new MA coaching model. Contribute to the development of a career lattice for coaches and trainers that aligns with the University of Massachusetts Donahue Institute (UMDI) career lattice for educators. Conducted a PLC and three webinars to look at program focus coaching and the development of leadership capacity to support staff improvement.